Nicolas Culpeper' Complete Herbal is still in print today and this inspired the idea that my medieval character was in fact the first to write a herbal journal in The Grotto's Secret. He spent the greater part of his life in the English outdoors cataloging hundreds of medicinal herbs. But it seems that he pinched his ideas from Gerard’s Herball, who references many of the poisonous plants mentioned in Shakespeare’s plays.The origins of Gerard's Herball, famous for its detailed (if sometimes inaccurate) descriptions of plants are controversial. 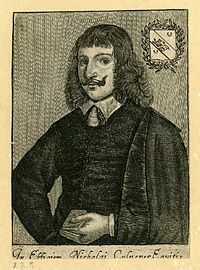 It is said that The Queen's printer John Norton had commissioned a Dr Priest to prepare an English-language translation of Rembert Dodoens' immensely popular herbal, but the priest died and John Gerard to take over the work. Read my author's notes to find out more. Browse around more behind the scenes images in The Grotto's Secret Gallery.